Now is probably the best time of the year to revisit, upgrade, or set up afresh your SEO campaign and strategy. SEO no doubt continues to evolve, thanks to the consistent algorithm updates Google and other search engines continue to put in place. Google, for instance, continues to target PBNs (Public Blogging Networks), a fact that has made them really less effective in generating search traffic. Other ways such as keyword optimization still work, but it requires more effort than before if one ever hopes to maximize its usage. Fortunately, there are easy-to-implement ways, some pretty recent, that have proved very friendly to search engines. Plenty of marketers, businesses, and website owners across the world continue to leverage their abilities and, if you’ve never learned enough about these ways, today you have a chance to do so. In early 2014, most companies and agencies felt hugely disappointed when Google’s Matt Cutts confirmed in a video that social signals, i.e., shares, likes, views, pins, votes, and other metrics associated with leading social media platforms, do not influence search results. Interestingly, in late 2010, Cutts had acknowledged that Google’s algorithm does actually use social signals to filter out search results, after denying it earlier in the year. Does this mean social media doesn’t play any role at all in SEO? Absolutely not. We can all admit to seeing social media profiles rank on SERPs, especially when the query is about a business, say, Skrill. The social profiles could be listed on the main search page or on the right side just under the business’s profile, as in the image above. This fact emphasizes the importance of constantly having engaging, relevant, and up to date content on your profile. In the 2010 video, Cutts admits, by referring to an article by Search Engine Land’s Danny Sullivan, that who you are on social platforms can affect how well your page performs on SERPs. This can be interpreted to mean that the search algorithm does take into account the number of followers/likes you have and whether or not your social account is verified and active. Links posted on your social profiles as backlinks to your website can also help to build your website’s credibility. Even though Google hasn’t been straight about it, in Search Engine Land’s article above, Bing does admit that their search algorithm takes into account the number of tweets and retweets a link gets. Social media platforms such as Facebook and Twitter have their customized search engines too. Twitter’s search engine, for instance, gets up to 2.1 billion queries a day. There will be a significant number of people will look you up on these platform’s search engines too and so, as a brand, you have to invest in a great social media profile and use keywords that will make you easily discoverable. In 2017, 50.3% of website traffic worldwide was generated through mobile phones, up from 43.6% the previous year. Clearly, there’s no denying the fact that a larger share of website traffic will come from cell phones in the coming years. Google has not been left behind in leveraging this development. In 2016, their mobile-first index was put to test. Until that time, they considered the desktop version of a website first. But with this change, their rank signals look at the mobile version first before the desktop one. This was a follow up to their 2015 mobile-friendly algorithm update. So, it is worth asking: Is your website mobile friendly? If not, that’s probably the reason you’ve never made it to the lucrative first page on SERPs. Google’s free mobile-friendly test tool can help you to find out how your website performs in regards to this aspect and also suggest improvements. In making websites mobile friendly, Google recommends a responsive web design. The design, layout, and navigation should correspond to the user’s goals. Make the navigation simple and easy, have a visible search box, clearly separated tabs, and so on. Note that this is not a new concept. However, the method is not 100% effective as your website could still fall far behind in mobile user experience even with a responsive design. Thankfully, there are a couple of aspects, most of them easy to correct, that Google’s search console can help you identify and address in order to make your website more mobile friendly and to earn a better usability report on Google. Page speed is also vital and Google takes it into consideration not just on the mobile platform, but across all other platforms as well. Use the mobile-friendly test tool above to get insights on your page speed. If you can afford it, go ahead and develop an app for your business or institution but only if it’s going to be relevant and useful to the people it’s supposed to serve. The rapid growth of video in recent years can be attributed to its effectiveness. And just when you thought it’s a passing trend, the Cisco Visual Networking Index (VNI) easily counters your argument. By 2021, Cisco estimates that 82% of all consumer web traffic will comprise of video, a rise from the 73% recorded in 2016. Uploading your video to YouTube is a perfect way to kill two birds with one stone. You can get plenty of YouTube traffic and, at the same time, your site gets a chance to rank higher on SERPs. A good example is Dollar Shave’s club product video, which has attracted millions of views, thousands of shares, and also got the company to rank higher on SERPs. What’s more, Searchmetrics reports that an estimated 55% of the over 100 billion searches made on Google each month has at least one video, and 82% of them are from YouTube. Also, YouTube processes over 3 billion searches each month, meaning you have a chance to attract huge traffic to your site if you create and upload useful, relevant, or entertaining videos. How-to videos, explainer videos, product videos, business/brand videos, testimonials, and vlogs are some of the best performing videos on the internet today and you may want to take this into consideration. Due to their higher engagement levels, videos will also keep visitors on your website or landing page longer and boost the conversion rate, which, ultimately, will boost your SEO performance. Don’t forget to make your video SEO friendly. Begin by optimizing its title and description with proper keywords. Great video thumbnails will also get you more search traffic and leads. 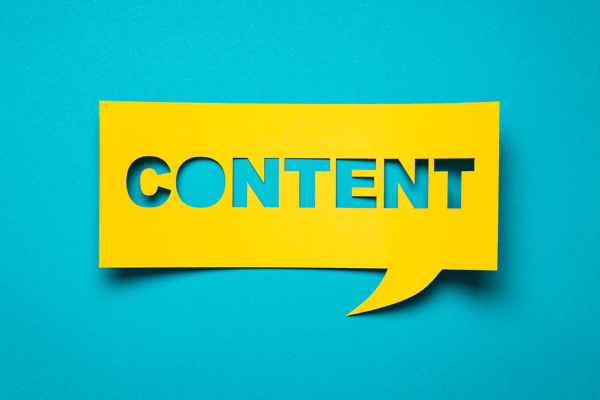 Quality content is a wider term that not only refers to what your content is composed of but also the style, format, layout, engagement level, trustworthiness, length, dwell time, and so on. To begin with, when you serve your audience valuable and useful information, there’s a high chance they might spend more time on your website consuming it and, thus, increasing the dwell time. You can tell your page has a high dwell time if the bounce rate is low and the click-through rate high. Google definitely considers these two in ranking a website. To double your readers’ average time on a page, improve the quality of your presentation, which include the use of lists, shorter paragraphs and sentences, sub-headers, bullet-points, and so on. Engagement level can be raised by creating compelling content, offering value, allowing for a comments section, and a response to the questions and concerns of clients/customers. If you have old non-performing content, this would also be the best time to freshen it up. As for length, long-form content always performs better when you want to rank on Google. CoSchedule’s detailed research on blog post length puts it better. 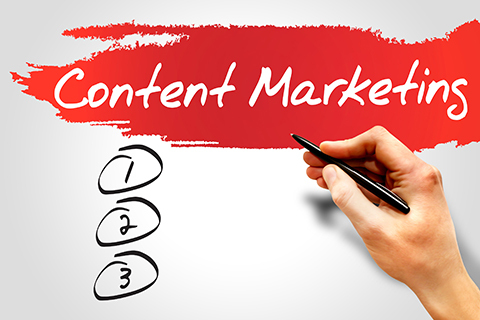 Make an effort, therefore, to fix any duplicate content issues your website has. Bad backlinks are those that violate Google’s Webmaster Guidelines. When these bad and unnatural links point back to your website, this could be extremely bad for your SEO performance. In worst cases, you could suffer a Google Penguin penalty. Generally, there’s plenty of places where bad backlinks could come from. But before you begin the link removal process, it’s best to do backlink analysis in order to know which links to keep and which ones to remove. Tools like SEMrush’s Backlink Audit can assist you in vetting backlinks. Next, get rid of all the bad backlinks you’ll have identified in order to safeguard your Google rankings. Please note that you will likely lose plenty of traffic after taking this action and this could trigger a negative action from Google because it will be under the assumption that your website just got less interesting. However, seeing that such backlinks are only good for the short-term; in the long term, your action will eventually pay off if you chose to put a focus on quality content, good backlinks, and each of the other SEO aspects we’ve covered. Year after year, new trends and technologies come up and not even Google has been left behind in adapting to these trends. Just like we’ve observed, there’s considerable focus from them on video, mobile usage, social media, quality content, and credible links. Provided you can execute each of these five ways properly, you stand an extremely high chance of generating more search traffic and leads for your website. What’s more, they are all easy to implement. In fact, some don’t even require expert help. Don’t be left behind. Begin your journey with what you’ve learned today. About the Author — Robyn Howard is a video enthusiast and content manager over at VideoRemix.io. She works with a team of techies to help people create, edit, personalize, and publish production-quality video campaigns to engage their audience. Clients can use personalized video software to create personal videos for prospects on websites, landing pages, video-sharing sites, and Facebook.